Mount Lyford is located in the Kaikoura region popular for its impressive location and a beautiful exotic variety of wildlife. 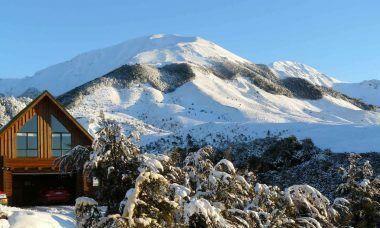 Mount Lyford is one of the most popular ski fields for intermediate skiers located in the South Island. The alpine resort is in close proximity to Kaikoura that indicates that skiers have a chance to get proper accommodation for their skiing holiday. The terrain is suitable for intermediate and advanced skiers with plenty of skiable terrain for beginners. The resort has a great beginner’s area at the base where wobbly first-time skiers can take a lesson from professionals to improve their skills for a better skiing experience. It is likely that the skiers will learn that getting to the ski resort is an adventure in itself. The drive up to Mt Lyford Ski Field is not for everyone. The road leading to the resort is long, winding, and steep. Mt Lyford Ski Field has a skiing area suitable for all levels including a decent measure of the new landscape, intermediate pitches, various territory stop highlights. The lift system comprises of a T-bar, 2 platters, and, Poma lift, 2 rope tows. Mt Lyford Ski Field has no lodging on the slope. There are just essential offices on the mountain including a bistro, day stop, rental shop, ski school, heli-skiing, and skidoo contract. You will discover Mt Lyford Ski Field to be slightly different and not as connected as other resorts in New Zealand and Australia. There’s a very limited beginners area but its more than enough for early learners to practice their skills in a not so crowded resort. located near the car park of Deer Valley Ski touring, the lifts will take beginners to Tom Thumb where they can get plenty of practice at Tessas and Thrili. Most of the trails in the resort are marked blue for intermediate skiers, the location attracts thousands of skiers each year who enjoy the fresh kiwi powder ski fields. Mount Lyford ski resort is located in a location that is prone to snowstorms, after a snowstorm the resort gets plenty of fresh powder for an adventure on the slopes. The intermediate skiing area begins at the Jewel, the pistes and slopes located at The Jewel are full of powder and gives an easy but thrilling ride to skiers taking them all the way to Timothy’s fun. Skiers can take the Beer Valley Poma to access this trail. Intermediate skiers can take the Easy Street by taking The Rope lift. Plenty of blues are found near Jenny’s slide and the Georgianna’s Delight. The Thriller is another challenging intermediate blue marked trail. Beginners can also access the Cloudy Pome to try the very challenging blue marked trail called The Cause. Skiers can take the Terako Rope lift to get access to the blue marked trails of The Cause and the Thriller if and head to the trials of Jenny’s Slides. Advanced skiers will find themselves to a perfect surprise when they head to Mount Lyford. The entire resort is not crowded. the black marked pistes are absolutely crowded free even in the peak season as the slopes are not for everyone. Taking the Deer Valley Poma lift skiers can have access to the black marked Timothy’s Fun. Apart from Timothy’s Fun Skiers can take The Rope to get to the Hamish Top but the ascent to the top of Hamish’s Drop is only accessible by a helicopter. Doug’s Folley and Mt Lyford Third Basin are some of the best black marked pistes but they are accessible by a helicopter that makes these pistes accessible through heli-skiing. To get to the black marked slopes with plenty of powder without heli-skiing makes for a bit of an effort on part of the skiers. To access the black slopes, skiers have to take the Beer Valley Poma and ski their way to the intermediate blue marked Easy Street. From Easy Street skiers must uphill by the Terako Rope to access the Excellerator, the Exhibition and the Die Hard regions of Mount Lyford for black marked slopes. There is something for everyone in the Mount Lyford ski resort. The Wild Ride terrain park is popular for experienced snowboarders. The terrain park has rails, half pipes, and plenty of kickers for experienced skiers and snowboarders to show their talent and skill. The resort has a tennis court that doubles as a skating rink in winter. The only downside to the fantastic ski resort of Mount Lyford is the lack of proper après ski spots. There is a small café in the area that offers reasonably priced food and beverages in the Mount Lyford Lodge. Skiers who are looking for a proper après will need to travel to the nearest town Kaikoura for a night out and some quality après. Skiers should take a day at the slopes and return to Kaikoura for après. It won’t be a good idea to head back to the resort drunk and very late at night because the road back to Mt Lyford is steep and long. Here are some of the popular locations for après in Kaikoura. The Whaler bar and restaurant is the top spot for skiers wanting a relaxing après. The Whaler has a very interesting looking jukebox with popular tunes. The food is mostly seafood but plenty of beers and wines to be had here! The Pier Hotel, Bar, and Restaurant is a good choice for après and there are plenty of cocktails accompanied by delicious local seafood including crayfish. The bar has a wide range of delectable wines and local champagnes as well as major international brands of vodka, beer, and champagne. Groper Garage is the place to be for some of the best drinks lists for quality après. The bar is open from 12 pm until late throughout the week. The atmosphere is cozy and homely with plenty of drinks and beers to get skiers pumped up for another day at the slopes. 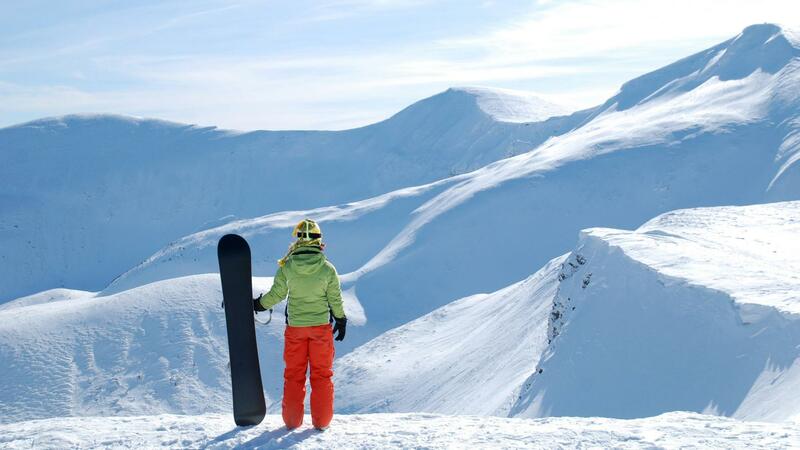 Mount Lyford does not offer many winter activities apart from free skiing for children under 7 years. The skiing lessons are a fun activity for children and adults. The resort is purely a ski and snowboarder haven with little to offer for other winter activities. Mount Lyford non-skiing winter activities are limited to taking a short walk to explore the wonderful Crystal Lake. The lake can be a good spot to relax and unwind after spending the day skiing in the gorgeous alpine resort. Lyford Horse Trekking is a popular activity for everyone. The tracks take you on a journey that takes riders on an unforgettable tour of Mount Lyford and the surrounding areas. The Tour is operated by experienced horse experts and complete safety measures are taken before the tour. the horse trekking tour company offer multiple tours to choose from including a nine-day long horse trekking adventure that will take you from Lottery River all the way to Mount Lyford and Hanmer Trail. As Mount Lyford does not have much to offer when it comes to winter activities, families and tourists must head to the gorgeous town of Kaikoura for interesting and fun activities. Kaikoura has two large colonies of sea lions at Ohau point and Ohau Stream. During the winter months, there’s a chance to see sea lion puppies in action. Children and adults will love going on a tour to watch the sea lions in their natural habitat. 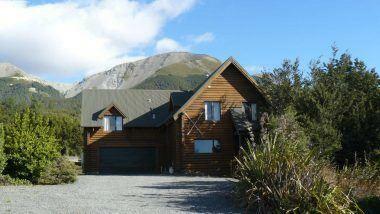 Heading to Kaikoura is the better choice for those visiting Mt Lyford. Get to Kaikoura and register yourself with a Mt Fyffe hiking tour that ranges around the ocean. The hike is filled with the unbelievable scenery of snowcapped mountains and the best part is you could encounter more sea lion colonies on the hike across the Peninsula Walkway loop. While on a skiing holiday in the majestic mountains of Mt Lyford, take a day or two off the skiing to enjoy whale watching in the Kaikoura town. The tour will be a favorite for children and adults alike as there is nothing more magical than watching giant sperm whales in their natural habitat. 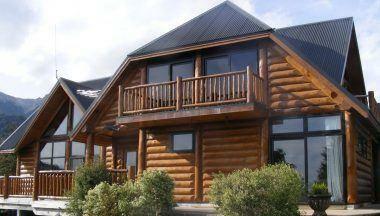 Popular ski resorts in New Zealand Looking for ski trips and vacation packages to New Zealand ski resorts? Have lots of fun skiing in New Zealand!